Typically, teams will be given points in the first 3 events depending on how well they place. These points will be used to determine seeds at the Championship event with the top 1 or 2 seeds heading to the National Club 7s Championship. Teams also have a chance to qualify for Nationals by winning an Open Qualifier as set by USA Rugby. The East and West Open Qualifiers will be held on June 29, 2019, the same date as the Lakefront 7s. The Midwest RFU Competition Committee does not select Midwest Qualifier bids on that date. 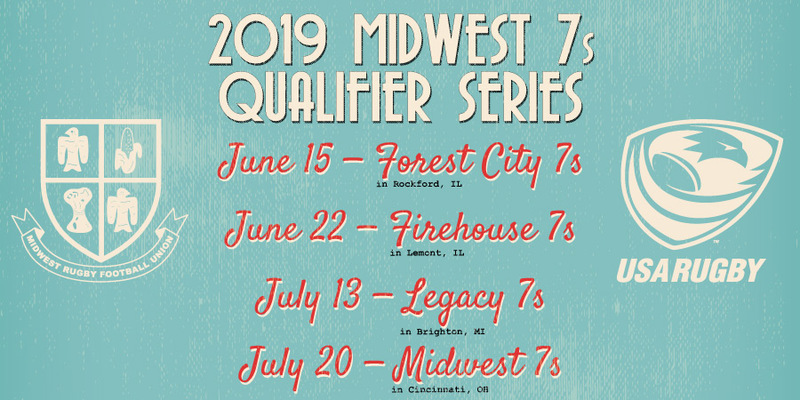 The dates for the Midwest 7s Qualifier Series have been added to our 2019 Wisconsin rugby 7s calendar.